Buy a Hilton Grand Vacations Club Harborview Villas at South Seas Island Resort timeshare for affordable vacation ownership that you can only get on the resale market. The best way to buy is to check here at BuyaTimeshare.com for the Hilton timeshare package that fits your schedule and price range. When looking to buy a Hilton Grand Vacations Club timeshare, trust us with any questions you may have while browsing for the best Hilton ownership deal that fits your needs. 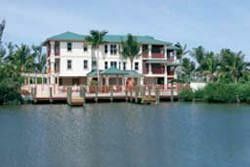 If traveling to beautiful Captiva Island sounds like the perfect Florida vacation, it may be the perfect time to buy. Hilton timeshare buyers should have little trouble finding an affordable timeshare on the resale market and BuyaTimeshare.com is your on-line resource to help you buy a Hilton Grand Vacations Club Harborview Villas at South Seas Island Resort timeshare. 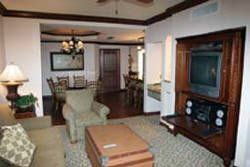 Hilton Grand Vacations Club Harborview Villas at South Seas Island Resort combines the luxury of a resort village with the experience of vacationing at a wildlife sanctuary. The South Seas Island Resort sits on the Gulf of Mexico and has been recognized by Parents Magazine as one of the Top Ten Beach Resorts for Families. The South Seas Island Resort community is home to various timeshares, but the premier timeshare group is the Hilton Grand Vacations Club, which has several accommodations on location including Harborview Villas. 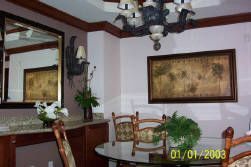 With spectacular views of the yacht harbor, golf course and Gulf of Mexico, the units are a short walk to the beach. 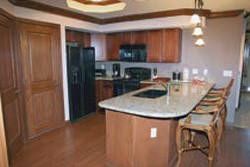 Each unit has a fully equipped kitchen, a washer and dryer and a screened lanai, while the resort has a heated pool, whirlpool spa, fitness center, golf and tennis on the grounds. Aside from the services offered by the Hilton Grand Vacations Club Harborview Villas, guests are welcome to enjoy all of the amenities of the South Seas Island Resort. The resort offers a supervised children’s program that includes learning about the wildlife in the area. There are several types of water sports available including jet skiing and even hit the skies with a parasailing tour. Fishermen can enjoy world-class fishing, or take a fishing charter, and golfers like the Par 3 course. Those looking for an educational experience can take a nature tour via kayaks or visit the Sanibel Sea School. When it is time to unwind after all those activities, there is a four thousand square foot spa to soak and relax. Families can enjoy the water park, the Marina Walk or just spend time on the two and a half miles of beach. The online resale market allows owners to work directly with a timeshare owner to ensure they are getting the best deal. 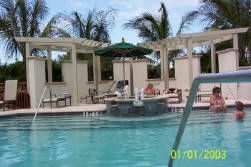 The Harborview Villas are a beautiful timeshare property and allow families to have a dedicated place to stay while on vacation on Captiva Island. With the terrific amenities and the natural beauty of the resort, it should be a simple decision to buy a Hilton Grand Vacations Club Harborview Villas at South Seas Island Resort timeshare. Contact Hilton Grand Vacations Club at Harbourview Villas at South Seas Island Resort Specialist Today! Days: Friday / Time: 3:00 P.M.